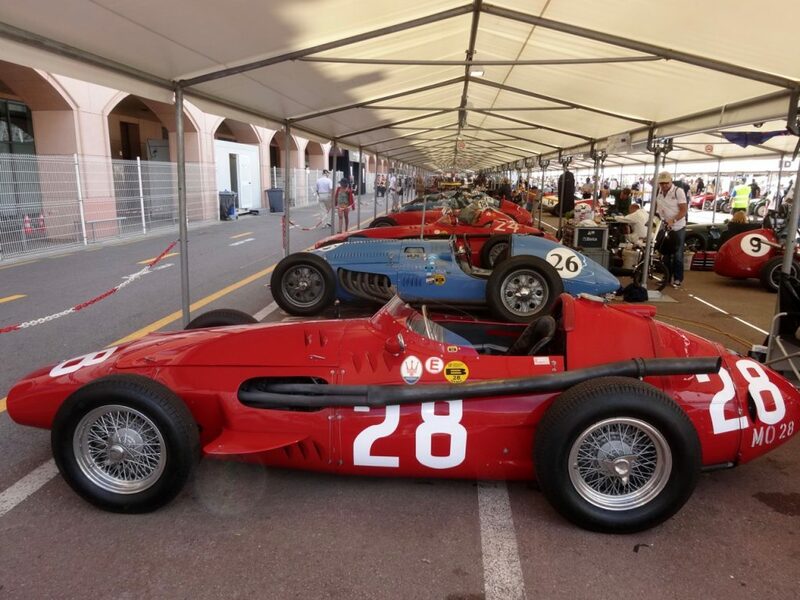 Your 2020 VéloRoo Monaco Historic Grand Prix commences in the afternoon when you will be met at Nice International Airport for transfer to our base for the first 3 nights in the historic mountain village of Sospel. Once checked in and freshened up we will head out for a beautiful local spin to settle onto our bikes and make any final adjustments. In the evening we will enjoy welcome apero’s on the terrace before dinner at a local restaurant. Our first day will be a ride like no other. 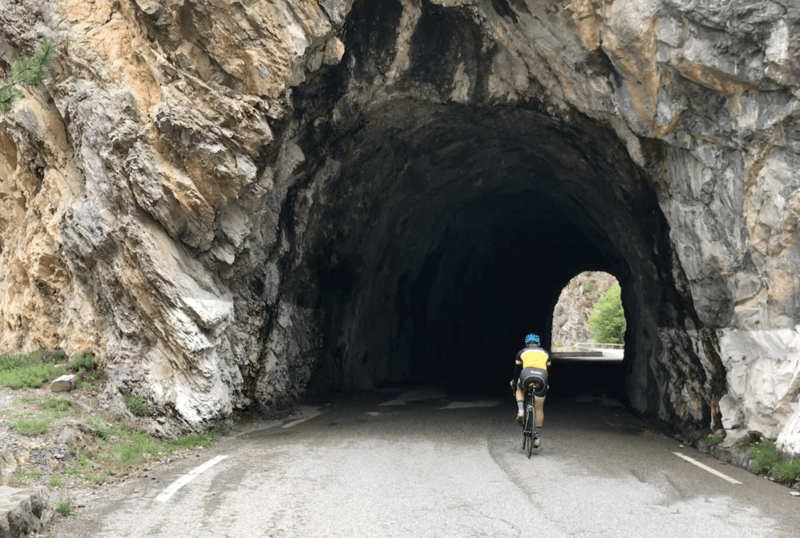 Offering stunning scenery our curated route deep in the heart of the dramatic Alpes-Maritimes is both challenging and rewarding in equal measure. The worlds most inspiring roads are in the mountains, their character defined by what the French call “Lacets”. We know them as hairpins. They ignite all the wonderful emotions of road riding fun, challenge and discovery. As the title for our first day’s ride suggests, our route includes over 100 lacets. 100! You will discover for yourself if too many hairpins are not enough! On our ride scaling mountains, thick alpine forests and breathtaking views, we achieve a peak elevation of 1415 meters. This is a ride you will remember and enjoy retelling for a long time. You will experience for yourself why this region is so stepped in Rallying history. 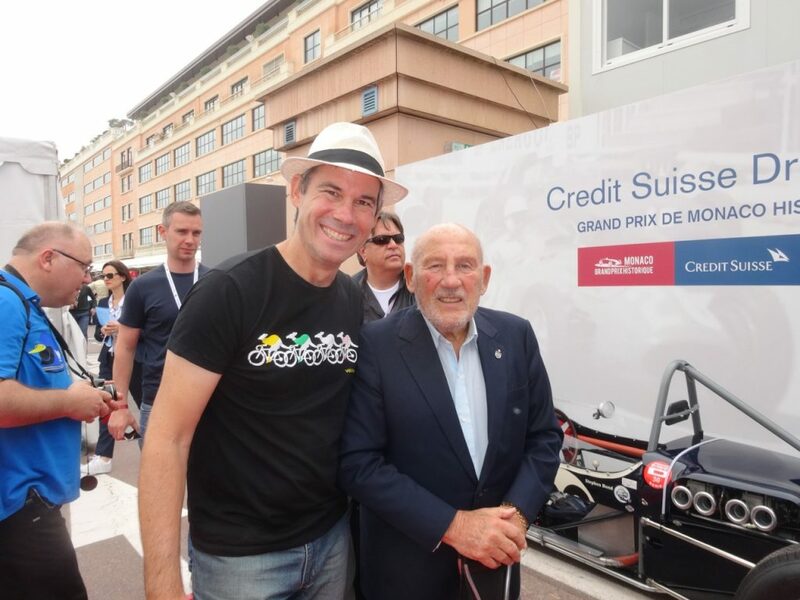 We will stop by the memorial for René Vietto, the 1935 Tour de France winner. 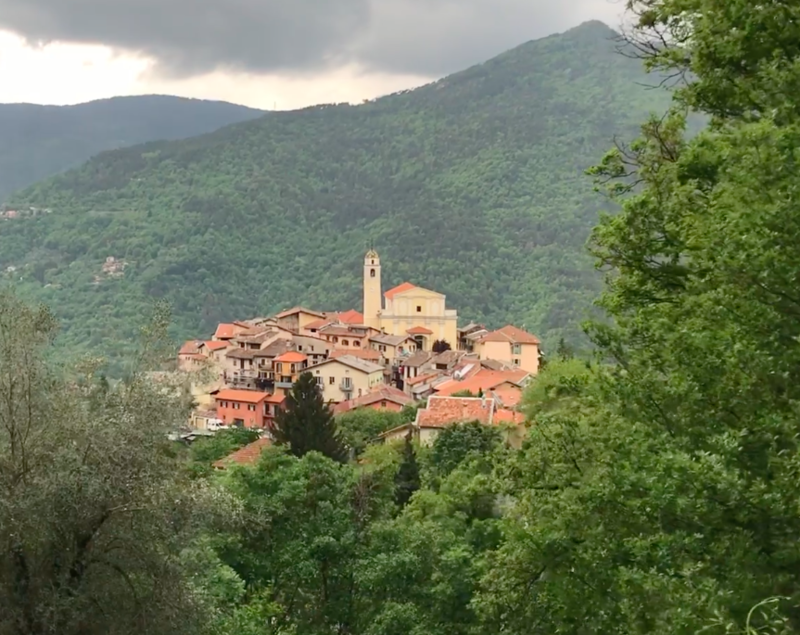 An afternoon on the terrace of our hotel overlooking the mountains is the perfect place to complete our day’s adventure and share our stories from the road. Rally’s mythic stage, le Col du Turini is ours to discover. As the Rally Crews compete this incredible stage at night, Rally fans christen it “the night of the long knives” in reference to the rally cars whose powerful spotlights send piercing blades of light cutting through the night air. 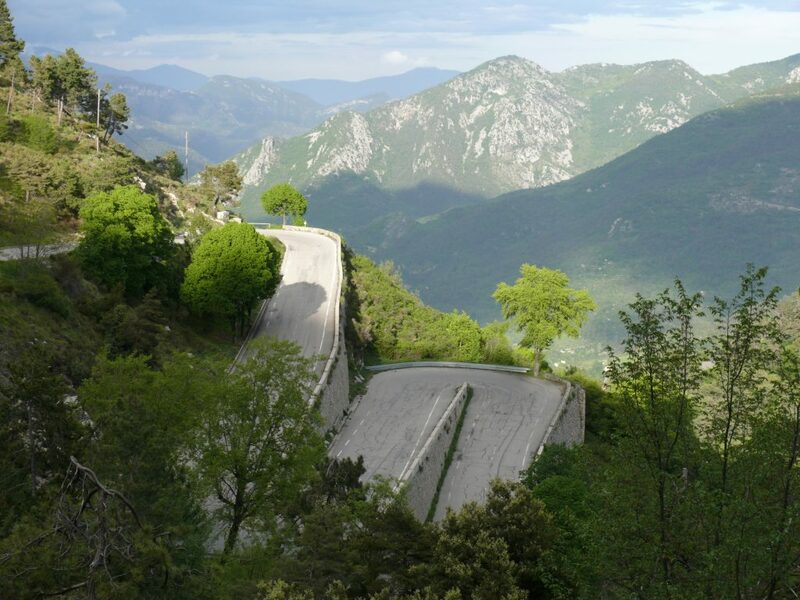 There are two classic routes to the col du Turini summit, each so iconic and engaging, we have to do them both! All around there are ancient visual distractions, a testament to the centuries of human habitation in these mountains. Charming hill top villages, isolated chapels in the middle of vast valleys and ancient viaducts. All set in awe inspiring landscape. 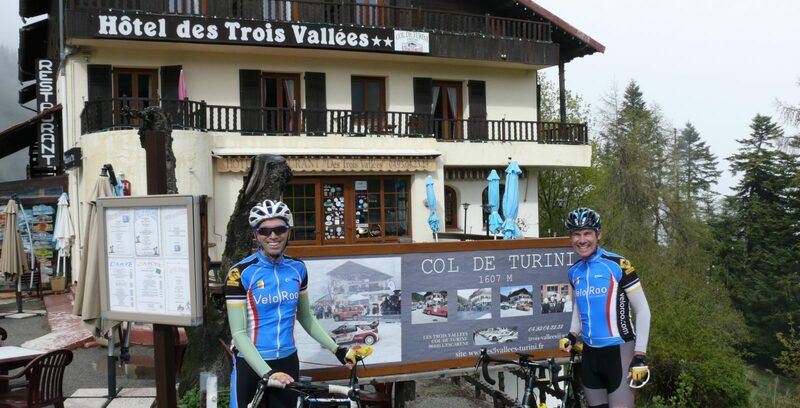 Reaching the Col du Turini summit will call for a coffee stop and spending some time in atmospheric les Troise Valley’s cafe, itself a kind of a Motorsport version of cycling’s Ghisallo Chapel. Its walls filled with memories from decades of Rallying. 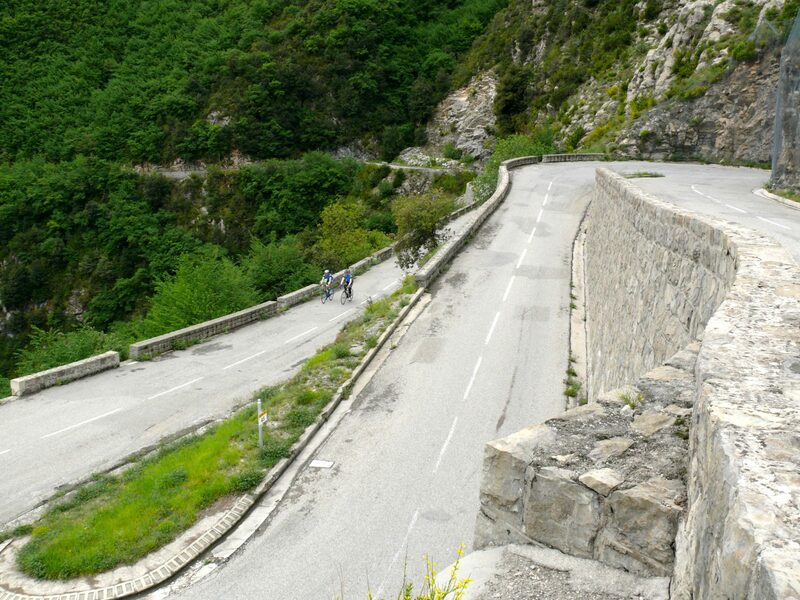 After our caffeine fix we tackle the second iconic Col du Turini route, a hairpin rich route down and back, possibly the most exhilarating and challenging 24 kilometres of riding you’ll do. 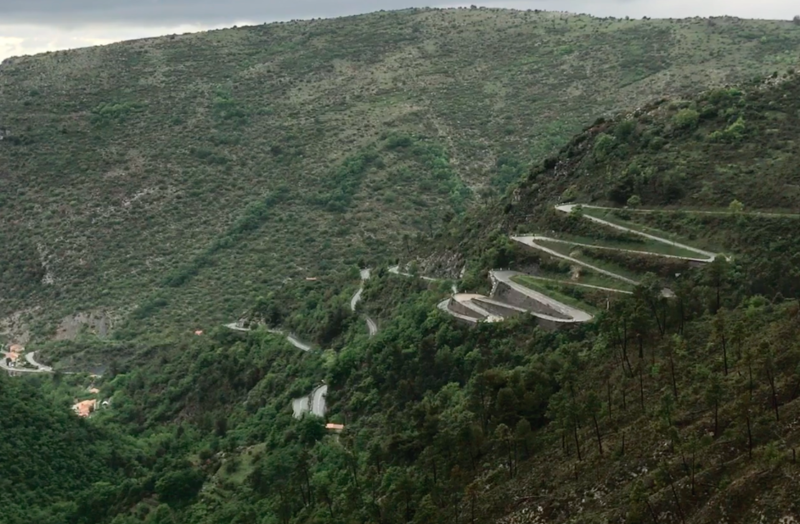 Taking in both routes offers a completely unique perspective of the challenges that have faced Rally Crews over the decades, justifying Col du Turini’s place as Rallying’s Holy Grail. Sharing our day’s riding experiences on the terrace of our hotel will complete a great day in the saddle and a day to remember. 4: Allez la Cote d’Azur! 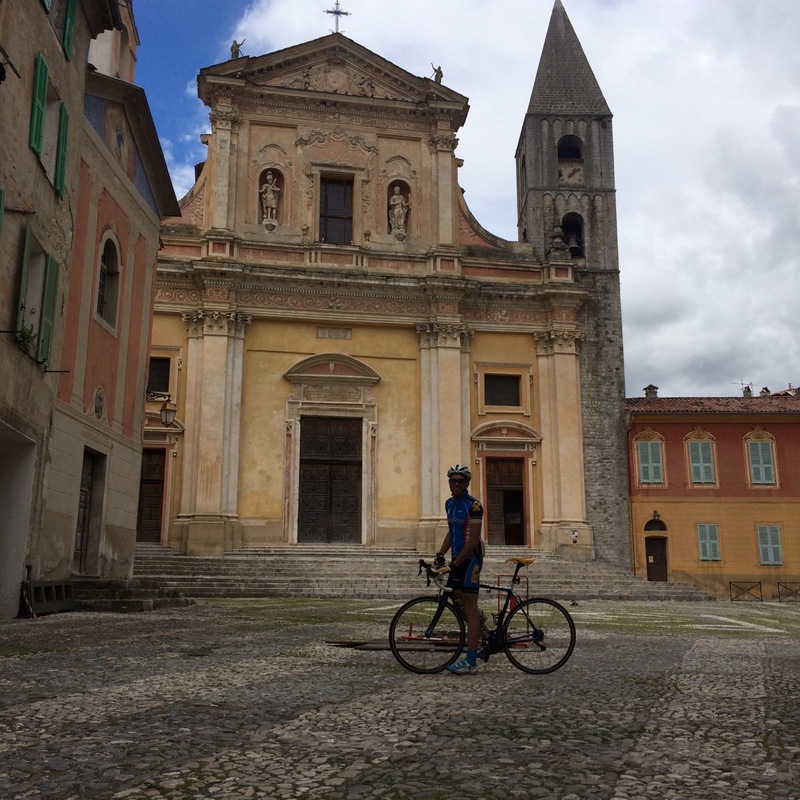 Today we leave behind our Alps-Maritime “home” in the historic village of Sospel, and take a spectacular ride to arrive at our new hotel on the Mediterranean coast. After a short climb out of Sospel, we arrive at the top of a sinuous 15 km descent all the way to the Cote d’Azure. The views are breathtaking, the descent thrilling. The ancient stone hill top villages we pass offer a glimpse of how the locals really live. After a brief roll along the beach front, we commence our day’s climbing challenge. The resident Pro’s favourite training climb and another chance to spot cycling royalty! 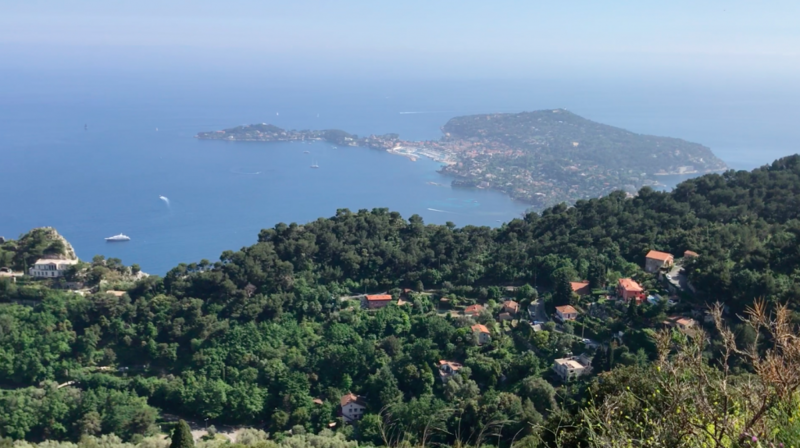 The ride continues via an upper level “corniche” offering some of the most provocative views above the coastline, from coastal villages squeezed into tiny inlets to the bigger towns and mansions. In the distance Mega yachts and boats enjoy the azure waters that give this stretch of coastline its name. We will stop at the marble Trophée d’Auguste monument, built in 6BC. It’s Rallying link being its use as the WRC podium ceremony backdrop. We continue along the corniche enjoying the views and thrilling roads to our costal base in the medieval resort town of Roquebrun Cap Martin. 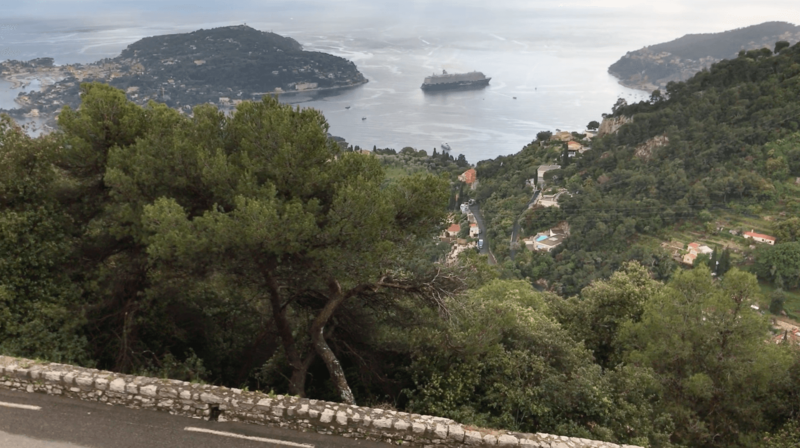 After settling in, it is time to shift gear, take the traditional “dip your toe” in the Mediterranean Sea and recount our rides across Rallying’s most spectacular roads. Being so close to Italy, dinner is booked at one of the most Italian of Italian restaurants for an evening of celebration. Our last day on the bike gets us intimate with the glamorous Monaco Grand Prix circuit. Coursing along the coast we will cross into Monte Carlo and through its prestigious boulevards and streets lined with the boutiques of the finest labels. We arrive onto the circuit on the pit straight, and we will complete one flying lap. 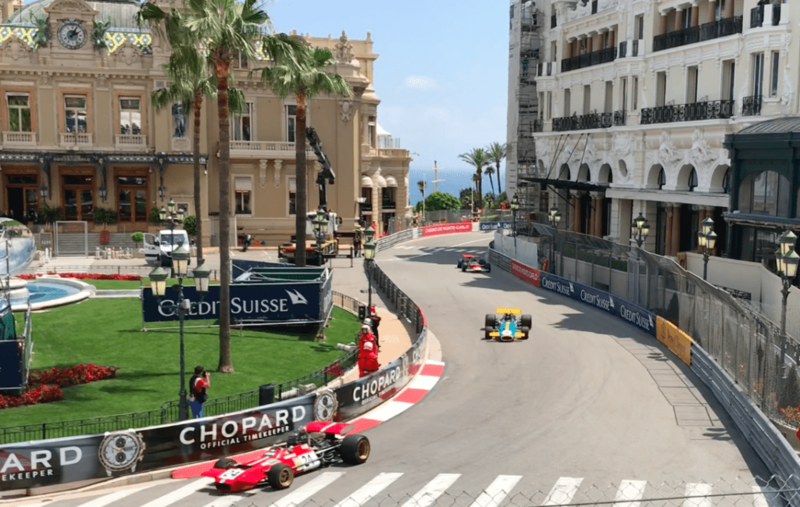 Your first time around the Monaco GP circuit is difficult to describe, a feast for your eyes – and your legs after Ste Devote! On our second lap we can take our time to soak up the history of this amazing venue. Which is your favourite spot? Ste Devote, Casino Square, Loewes Hairpin, the Casino Tunnel, or the Swimming Pool complex. We can stop for a memorial photo and reflect. We will return to the hotel for showers and freshen up, before returning to Monaco for Friday afternoon’s first practice session. Our first full day at Monaco. 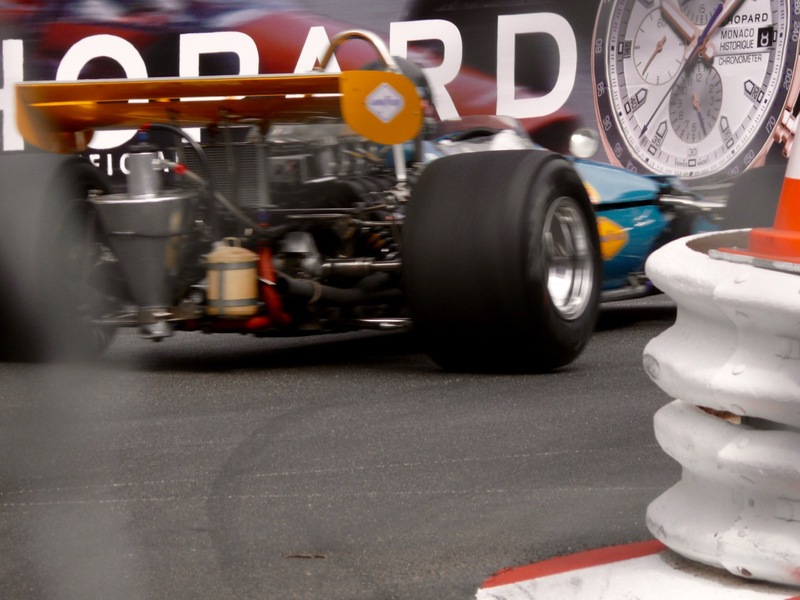 Our stand not only has you so close to the racing you can almost see the drivers eyes, it’s specially selected for you to experience first hand the incredible engine notes that have sadly long gone in the modern F1 era. 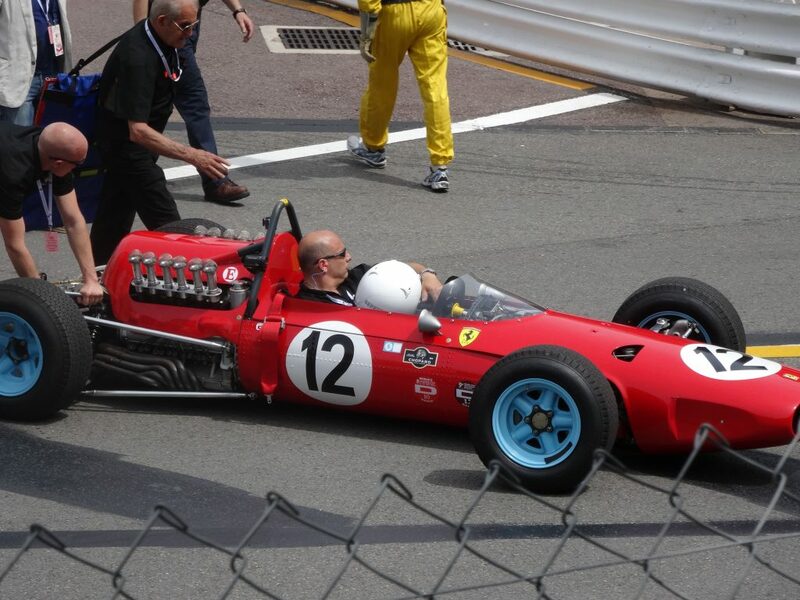 During the morning we will visit the paddock area, allowing plenty of time to enjoy your opportunity to get up close and personal to the Grand Prix cars and drivers. It is a free day where you have the freedom to come and go from the stand and explore. Our stand for the second day is located in another great location offering unparralled viewing of the cars at speed. With no traction control or electronic driver aids you will see just how much the cars move about as the drivers fight to maintain control these high speed works of art on the limit…..and sadly sometimes over it. You will have the chance to explore another area of Monaco from our stand, taking in some of the magnificent gardens and public spaces. 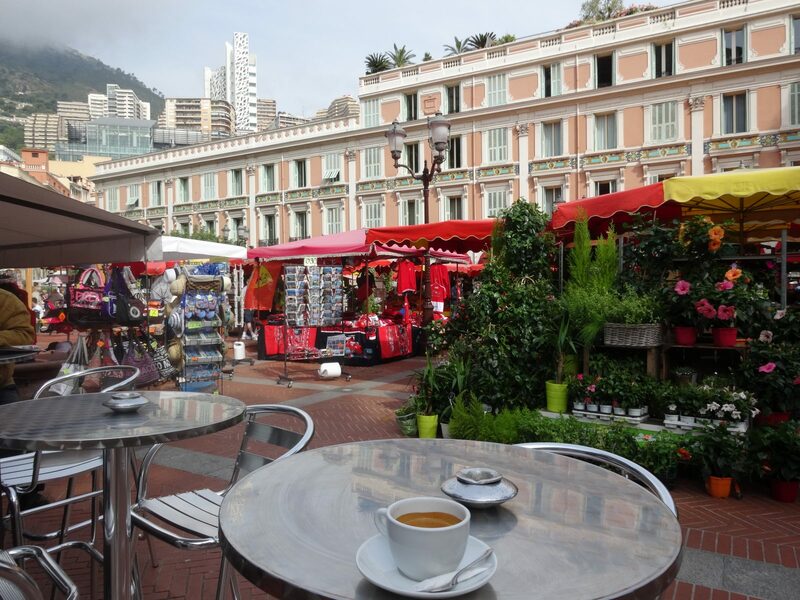 This is also the best time to grab any Monaco souvenirs that you might like to get. After an exhilarating weekend watching the finest of historic grand prix racing we head back for our final dinner together. Sadly it has to come to an end where we wish you au revoir et bon voyage. We will transfer you to either the Nice International Airport or the train station for your on-going journey.